More than 9,000 visitors enjoyed their time at several locations on Jahorina Mountain, where the premier Festival 84, a new winter member of Exit’s regional family, is being held this weekend. Visitors from all over the region, a total of around 20 countries, enjoyed the performance of world and regional music stars on marathon parties that lasted for almost 24 hours, from 11 AM on Friday until 10 AM on Saturday. 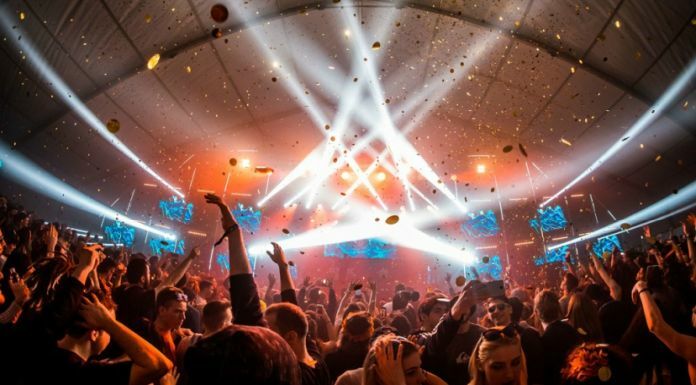 The stars of the festival are Dutch DJs Joris Voorn and Patrice Baumel, as well as Umek from Slovenia, who made a great atmosphere inside the large hall, which was especially constructed for the needs of this festival. The day started with a light rain that tested the will of visitors of the festival but it stopped after they took their place on the plateau in front of the hotel “Vucko” and started with a seven-hour afternoon party with the Belgrade starts Marko Nastic and Dejan Milicevic, who were hosted by Alexander de Funk. After great exchange of energy between performers and audience, the biggest ex-YU techno star, the Slovenian music band Umek, started the marathon parties in Jahorina that will not stop until Sunday evening! The Dutch champion Joris Voorn took over the situation and performed a spectacular performance worth the Exit Dance Arena! The variations of the house and techno styles put the audience at 1595 meters above sea level into a great atmosphere of the best “warehouse” parties in the European metropolis. After these great performances, the final set was performed by Patrice Baumel, whose intense musical selection represented a real catharsis for everyone present. During the night, the partygoers also took over nearby Super G Afterparty in the club of Bistrica Hotel, where great local stars Billain, Forest People and Word were in charge for a great atmosphere, which lasted until 10 AM!